Just a couple of months ago, a young wolf wandered through the Salzburg province of Austria. In six cases, the wolf managed to catch insufficiently protected sheep and goats. People understandably expressed their concern about the safety of their livestock, also questioning the protected status of the wolf in Austria. The scientific analysis now revealed where this young wolf came from. And it is another example why European countries need to work together to implement EU-wide livestock protection. Analysis traced the ‘Salzburg wolf’ back to the Western Alps, at the French-Italian border region. Over the timespan of several weeks or months, this wolf has covered a distance of at least 800 kilometres. Most likely, the wolf wandered through the Italian lowlands eastwards, or along the alpine mountain range towards Austria. As there is no confirmation of sightings of this animal, experts cannot confirm the exact route. The route reminds us of Slavco, one of the most famous wandering wolves of Europe. Scientists collared Slavco as part of an EU project. Just months later, he decided to wander in search for a new home and partner. Over the course of several weeks, Slavco wandered hundreds of kilometres through Croatia, Slovenia, Austria and Italy. In Italy he finally found a partner and started a new family. The two examples also show that the wolf eats red deer and roe deer if it does not encounter unprotected sheep. The way that wolves cover large distances across several countries confirms the need for European livestock protection. The Salzburg wolf came from the French-Italian region, where the French can kill dozens of wolves annually, and Italians do not use electric fences. It crossed through Switzerland, where a developed financial support system for livestock owners is in place. Yet, some sceptics now claim without evidence that the Swiss guard dogs are dangerous to humans and try to ban guard dogs from the alpine meadows with livestock. The wolf found its way to Austria, where the majority of livestock has insufficient or no protection at all. With the same ease, the wolf can travel further to Germany or the Czech Republic, where many believe that coexistence between livestock and wildlife is impossible. There are numerous studies, that show that livestock protection is more effective than killing wolves. More importantly, there are practical examples that livestock protection works, like in Germany, Italy, Austria and Switzerland. The practice of livestock protection is not rocket science, it is known for generations. Even the European Parliament and European Commission confirmed that livestock protection is the solution to the current challenges with the return of the wolf, instead of killing them. It should be clear that the wolf belongs to the European native fauna occurring throughout large parts of continental Europe until it was exterminated in many areas in the last centuries. […] The Commission is aware that the successful recovery of large carnivores may, in some cases, generate conflicts with certain human activities, namely livestock breeding, especially in those areas where traditional livestock management and protection practices have been abandoned. Nevertheless, we agree […] that successful examples from EU Member States show that co-existence of large carnivores and livestock is possible, provided that appropriate and tailored measures to protect livestock are effectively designed and implemented. states Nicola Notaro, Head of Nature Protection Unit, European Commission. Over the last 20 years, the European LIFE programme financially supported more than 80 large carnivore projects. These projects demonstrate how a coexistence between people and wildlife is possible. Additional funding for preventive actions to solve current conflicts is available through the European Agricultural Fund for Rural Development. Even financial state aid is available to compensate damages in the agricultural and forestry sector. In their latest decision in 2018, the EU allowed 100% compensation of direct costs, and even some important indirect costs.It is thus up to the people of Europe to share the know-how to make livestock protection in every country sufficient. Only then can we move forward in a sustainable coexistence with people and wildlife. Over the past two decades, the EU LIFE programme has helped finance more than 80 projects related to large carnivores, demonstrating practices that help people to coexist with large carnivores. In the Alpine area in particular, two recent LIFE projects (SloWolf1 and Wolfalps2) have contributed to solving conflicts associated to wolf and improve coexistence. Additional funding is available under the European Agricultural Fund for Rural Development, which can grant support for preventive actions aimed at mitigating the risk of damages by large carnivores to livestock farming. It is also possible to compensate damages by large carnivores under state aid rules in the agricultural and forestry sector. 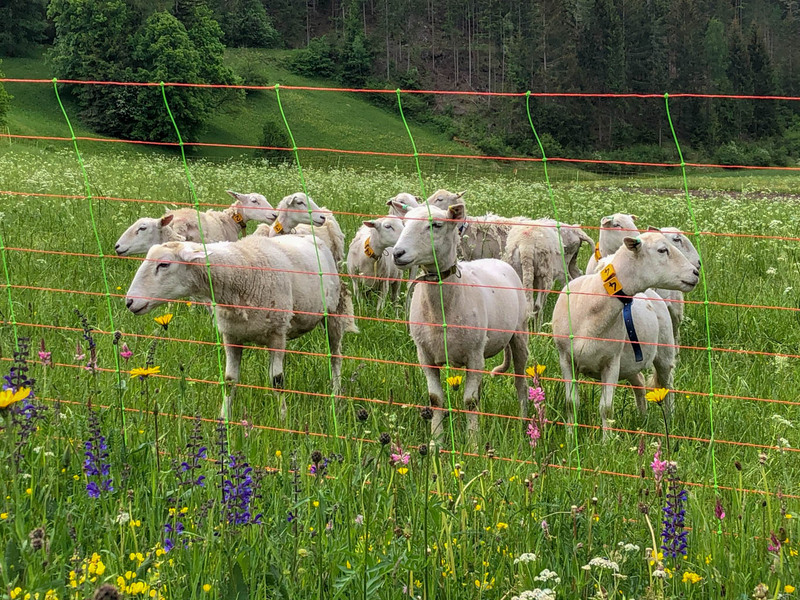 Over the course of the past year, the European Wilderness Society collected a lot of information on livestock protection in Europe with help of many different experts. This information and a brand new website will soon become available. Together we can support livestock owners to work towards a coexistence with wildlife.